When Cassidy Walker stumbles into the middle of the highway, bloodied and bruised, Bard college in flames behind her, and manages to flag down a ride, she thinks the worst is over. Arriving in the nearby town of Red Hook, Cassidy tries to call her parents but the phone lines are down – no radio or television signals are being received either. The town, it seems, is cut off from the rest of the world. But that’s not the strangest thing. Not by a long shot. Nobody in Red Hook has even heard of Bard College. Furthermore, they claim that Cassidy is not a music student, but a hand at the local stable. And she has lived in a house she can’t remember, with people she barely knows, for over a year. The world is fracturing. Cassidy just knows it – just as she knows that she is responsible. As Cassidy undertakes the ultimate road trip, through bubbles of reality, she will find that everything she thinks she knows about herself is wrong. Is she losing her mind or is the world a far more complex place than she thought? 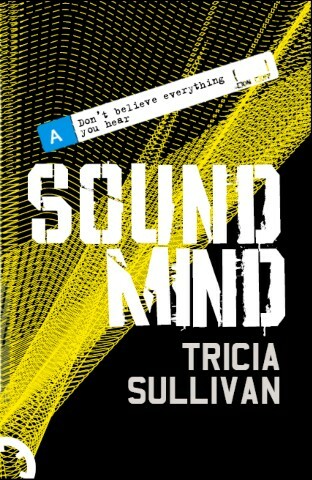 Sound Mind is connected to Double Vision and best read in conjunction with the former. Here’s L.Timmel du Champ’s review of both books.